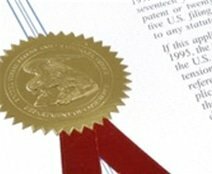 Pipe Restoration Technologies, LLC (PRT), announced today that they have been awarded US Patent #8895905 by the US Patent Office. This patent is focused on the development of a novel portable heating apparatus and methods used as part of the patented ePipe® process of in-place restoration of small diameter piping systems. The development of a portable heat source that can be used inside buildings and in close proximity to pipes being lined, in-place, has been a challenge to the industry. Traditional heating methods relied on the use of expensive heat generators that could not be placed inside buildings and/or in close proximity to the area of work. This often resulted in costly energy inefficiencies. “Our research and development team are proud of our ongoing innovation program and this accomplishment, this being our 13th US Patent in our pipe lining program. Added to our 2 hour cure resin, approved for use with potable water systems, this latest improvement compliments the overall ePipe® opportunity. “Projects involving ePipe® lining for in-place leak protection or prevention of lead leaching can be accomplished in a matter of hours rather than days,” said Larry Gillanders, CEO. The patented ePIPE process involves restoring pipes in-place, with an application of an epoxy barrier coating resulting in a restored epoxy lined piping system. The process provides a solution for pinhole leaks, epoxy lining, corrosion control and prevention of lead leaching from pipes for both commercial and residential piping systems.